Stun Tidehunter's enemy neighbors this round and each other enemy has a 50% chance of being stunned this round. Modify a red hero with +1 Armor. 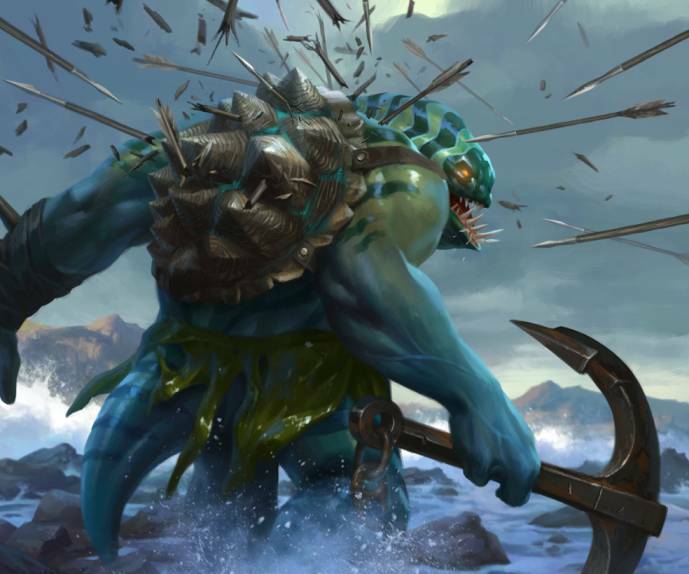 Active 4: Stun Tidehunter's enemy neighbors this round and each other enemy has a 50% chance of being stunned this round. Kraken Shell Mana Cost: 1 Modify a red hero with +1 Armor.